WavierDigital is a cloud based online waiver system that allows you to custom, collect and manage electronic waivers. 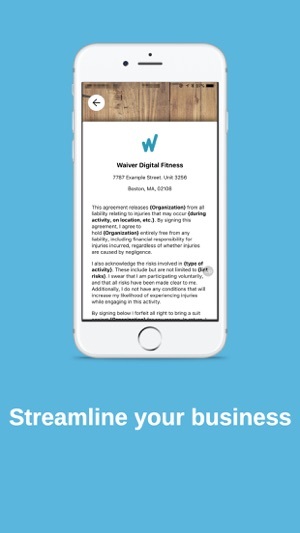 In just a few minutes, you can convert your existing paper waiver into a digital waiver and get rid of your paper storage forever! 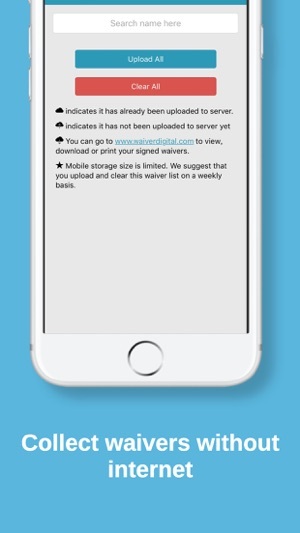 Download our app today and Turn your iPhone/iPad into a dedicated digital waiver station. You can collect waivers with or without internet connection. - You can create your digital waiver in a few minutes by using our online waiver creation tool. Or you can send us an copy of your existing waiver and we can create it for you for free. - Collect information from you customers. 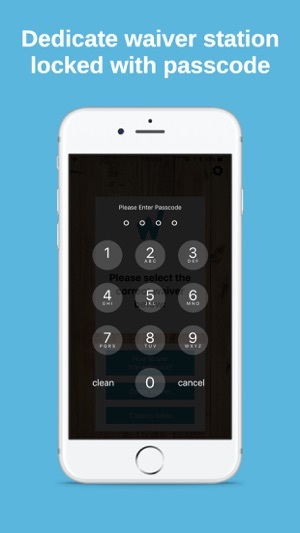 You can add names, emails, phone numbers, signatures, or initials, etc. on your digital waiver. You can add any fields you need to the digital waiver template. We will store your customer information securely on our cloud based database. - More than paper waivers. You can add tutorial video, take photos and collect payments, etc on the digital waiver. 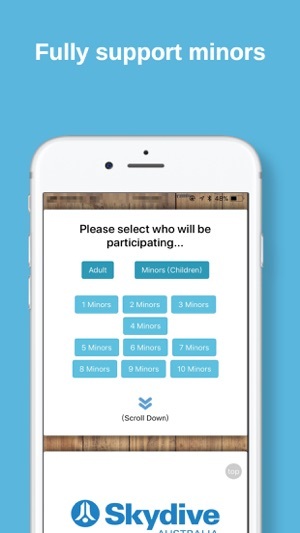 - Set up your smart phone or ipad into a dedicate waiver kiosk. - Send the online waiver link to your customers by email, SMS. - Put the online waiver to your own website. - Offline mode. Turn on the airplane mode on your device and start to collect waivers without internet. - For returning customers, they can renew their precious waivers. 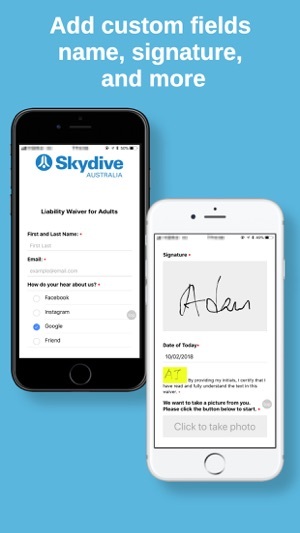 - Email copies of signed waivers to your customers automatically. - Search and find your signed waivers in 1 second. You can search your signed waivers by emails, phone numbers, or names. - Add notes to the signed waivers. - Multiple integrations support. You can connect dropbox, google drive to get extra PDF copies. You can also connect Mailchimp or Constant Contact to do your email marketing. Have any questions? Send us an email at support@waiverdigital.com. We are here to help! This is exactly what I am looking for. I own a shooting range business. I used to using the paper waivers, even returning customers need to sign a new waiver. 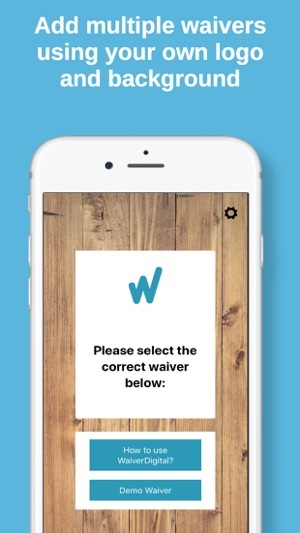 With this waiver app, I can let the returning customers renew their previous signed waivers. It saves us a lot of time. Highly recommend! I download this app and use it for my small tattoo business. It works pretty well. I can take a picture of my client's id and attached to the signed waiver. The customer support is very nice too. I am using this app for my fitness gym. Both me and my clients love it. My clients use the renew features and it will populate the fields, so they don’t need to fill them again. I will recommend it to my friend who needs waivers.